Therapy is not a magic wand. You can’t go to a handful of sessions and expect that your issues will be suddenly resolved. But with commitment and perseverance, the benefits of therapy are real. Here is what you can expect. 1. Understand your real issues. Don't know what exactly is bothering you or causing your low moods? You’ll soon start to have a clearer picture. Even if you think you know what your problem is, you might be surprised to discover it’s something else entirely. If you are trying a therapy from the psychodynamic school of thought you will also learn the childhood roots of your issues. 2. Find inner resources you didn’t know you had. Therapy isn’t about sitting around complaining and blaming others. It’s about discovering your own personal power to see different perspectives and make different choices. 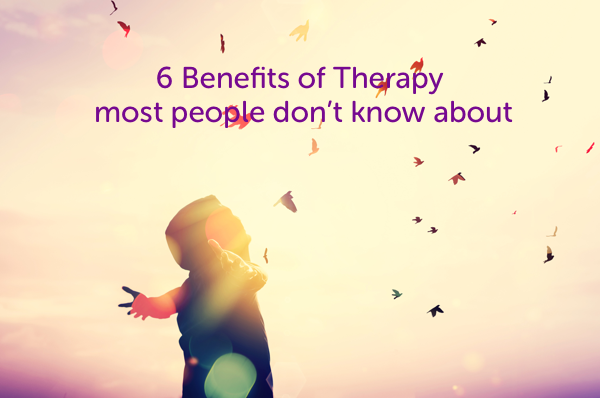 Many people are surprised to discover through therapy strengths they had all along. 3. Learn new ways of dealing with things. Some forms of therapy, particularly the newer cognitive therapies, are very much about showing you ways to manage yourself and your life better. This might mean playing out new ways of relating with your therapist, or trying tools like thought charts, mindfulness, and visualisation. No matter what form of therapy you try, you will find yourself saying and feeling things in the therapy room you can’t believe you’ve not realised before. It’s like therapy creates a safe space to finally be yourself. 5. Understand others and improve relationships. Understanding others is a natural byproduct of understanding ourselves, so all talk therapies tend to help you relate to others better. And because healthy relationships are now understood to be so connected to our psychological wellbeing, many newer therapies focus entirely on relating. These include cognitive analytic therapy (CAT) and dynamic interpersonal therapy (DIT). Therapy is at heart a relationship between you and your therapist. Many of us come to therapy because we struggle to trust anyone at all. The experience of learning to trust our therapist and seeing the positive results this offers means we can start to try trusting others. Therapy also helps you realise when and who to trust, meaning you make better choices when it comes to relationships.